When you hire a session singer or voiceover artist, you aren’t looking for someone to just recite words with a pleasant voice. You want someone who will engage the listener, drawing them into your story. The right artist can make your project come to life, encouraging listeners to emotionally connect with the story. I can do this for your commercial, song, or other narratives. My goal is to not only give your words a voice, but to give them life. Here’s us. We’re Brain Stamp. We do music. I have both a voiceover reel and singing reel, but feel free to check out what others have said about my work. I feel that the best references are people who have worked with me before and can speak honestly about their experience. Below are just a few! I started session singing when I was 14. My grandparents had to drive me around to different studios until I could drive (they were more excited than I was when I got my license!). I’ve been songwriting since I could write. I got my first notebook and listed every rhyming word I could think of. Since I was maybe five years old at the time, the writing was not great. I like to think I’ve improved in the songwriting department since then. I’ve been working on music ever since, behind-the-scenes and behind-the-songs. I’ve been featured in a bunch of stuff, been nominated for awards, and have learned a TON about the industry. My goal is to share that with you, whether through my blog, my music, or your own music project! 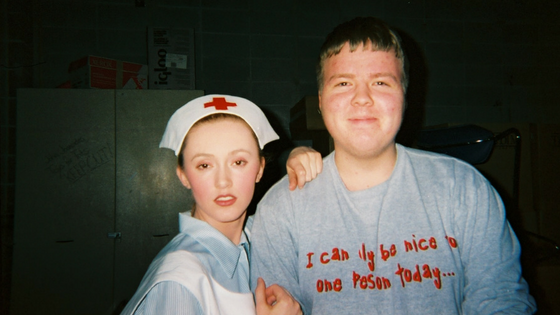 Here’s me in a play in high school, when I first started session singing. I’m with by best friend, who is still my bff today. And yes, I’m still a huge dork. I have a blog post about this exact thing! I don’t want you to have to scroll through a long and boring bio, so feel free to go there if you’d like to learn more about why I do what I do. Are you in the right place? Let’s see: Are you a musician, songwriter or performer? Then welcome! Are you a lyricist? Glad to have you! Are you none of the above, but still a music lover curious about how it all works? Awesome! You’ll get the best use out of my blog, and if you want to write a song based on your story, contact me and let me know! You don’t need to have ANY musical talent to create a song with me, I promise! Also if you like animals, you’re definitely my people! 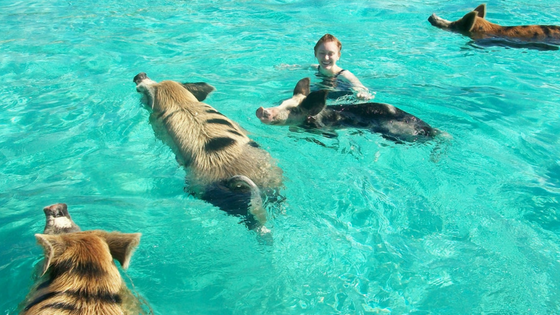 Here’s me swimming with pigs in the Caribbean. Alright, so now we’ve covered what I do. Let’s get personal. I’m an animal lover and foster dogs and rabbits (and any other injured wildlife). I love to travel but don’t really do it often, as it’s hard to take time away from work when you need access to a studio! As much as I love traveling, I also love just staying at home. I love watching cartoons but I’m annoying about it because I always analyze the voice acting. I’m going to keep this part short because this website really isn’t about me, it’s about you. So let’s talk: what can I do for you? Looking to Pitch Your Song? I’ve had clients land publishing deals using my co-writing and singing. My songs have been used in commercials, television, radio, and music schools. I am frequently involved in music pitches and know what current publishers are searching for. 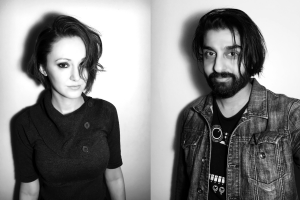 Looking to Release an Album? I have been featured in many albums of various genres. Previous clients have achieved stellar album reviews and have been nominated for major awards. 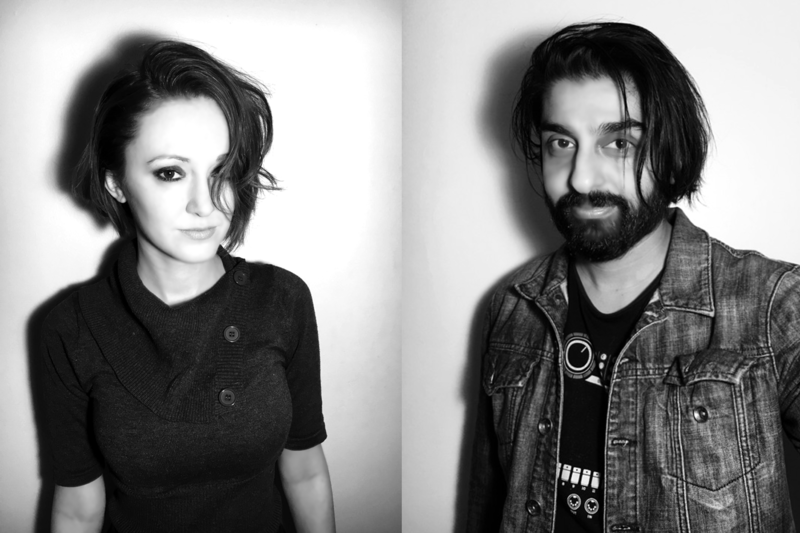 I can do lead vocals if you need them, or I can simply provide background harmonies to give your songs some extra character. Looking for a Song as a Gift? I can help you with whatever stage of the process you are in. I will make it a fun and exciting experience. The end result will be a custom song you can’t get anywhere else, tailored specifically to your unique story. If you’re ready to get started, contact me today and let’s begin your project!